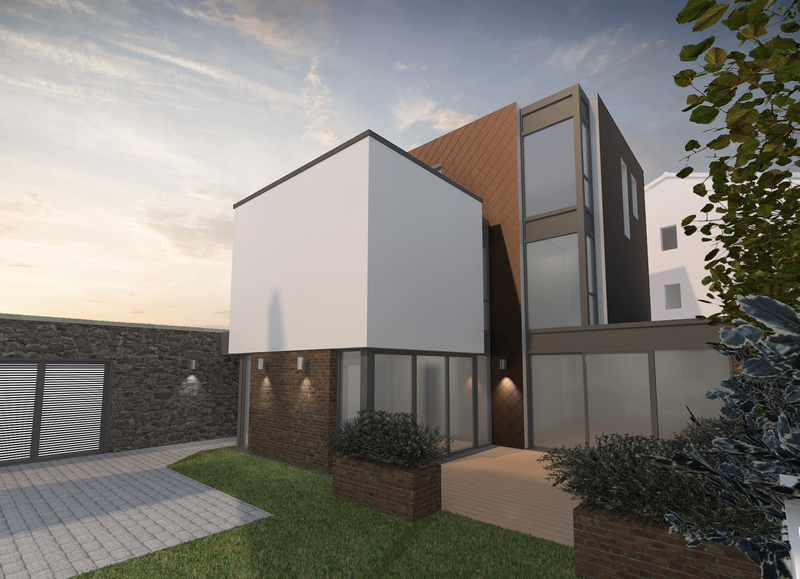 O’LearyGoss has obtained planning permission for a contemporary family home in the centre of Bristol. The impressive three storey, four bedroom house will be situated in the very sought after area of Clifton. The design takes advantage of a retained rubble stone wall to form the front elevation at street level; maintaining the existing streetscape and aiding the formation of an enclosed private garden space. The upper floors of the building are mainly clad in copper ‘shingles’, giving the building a striking and modern appearance within the Whiteladies Road Conservation Area.